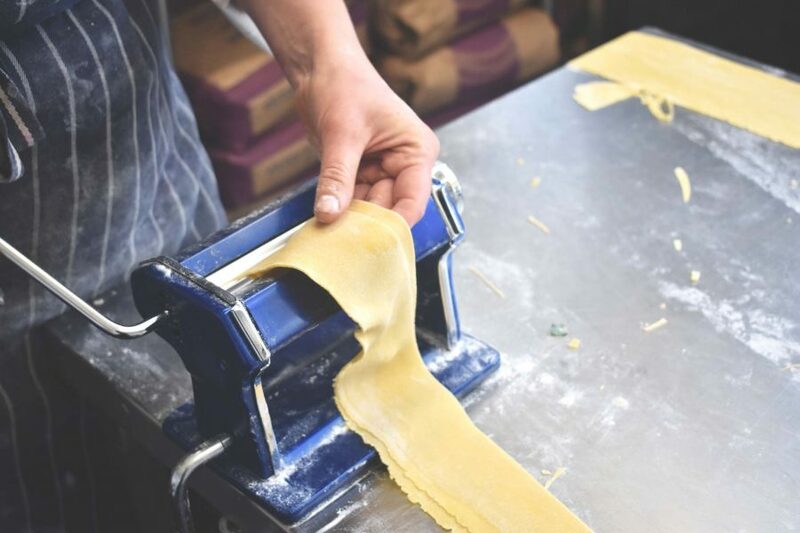 Here are the recipes used in our Fresh Pasta Masterclass. Our Head Chef Julien is sharing his cooking secrets of making the perfect and yet simple pasta anytime. Add the eggs (one by one) in a food processor to the flour until it starts to form a ball. Finish by kneading the dough on the table for 5 minutes. Form a ball, glad wrap it and let it rest in the fridge for an hour. Pass the dough through the pasta machine, starting very wide and going down one number at the time.